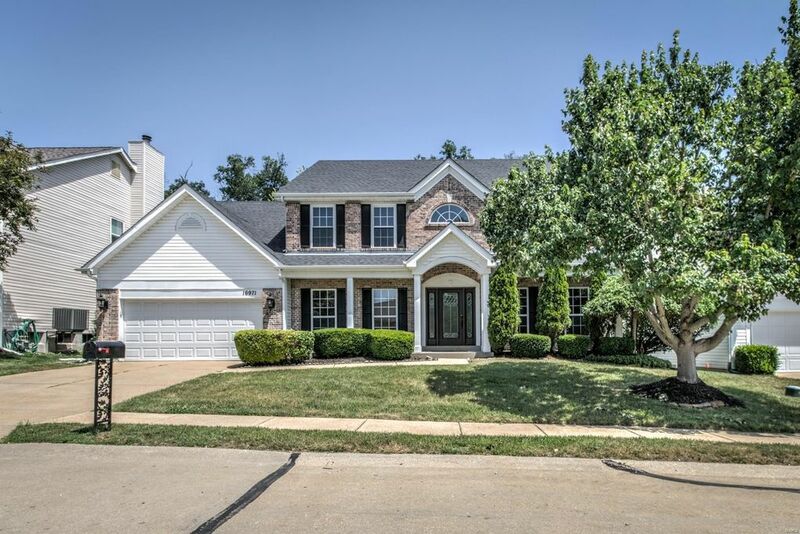 This amazing 2 story home can accommodate the largest of families! Enjoy living at its finest in the highly desired Westridge Oaks neighborhood, w/5 bedrooms & 4.5 Baths! The recently updated gourmet kitchen boasts gleaming hardwood floors, large center island, breakfast bar, granite counters, 42" custom cabinetry w/crown molding, butler's pantry w/wine cabinet & stainless steel appliances. The expansive GR has floor-to-ceiling windows & marble gas fireplace. Enjoy your morning coffee in the sunny breakfast rm w/bay window overlooking patio & fenced yard backing to mature trees. Main floor laundry incl. sink. Upstairs you'll find a spacious owner's suite w/double closets & luxury bath w/dual sinks, corner tub & separate shower. Plus, 4 additional generous-sized bedrooms & 3 full baths! Newer roof, new furnace, newer carpet (2016) hardware & fixtures, fresh paint & much more! Award-winning Rockwood Blue Ribbon Schools & an easy walk to trails/YMCA/shopping & restaurants. A must see home! Directions: From Clarkson & Manchester, continue West on Manchester, South on 109, across from YMCA, turn east on Westridge Oaks Dr. to home on the left.